CHICAGO (January 7, 2014) – Equality Illinois today announces the release of our Guide to Name and Gender Marker Changes, an Equality Illinois tool kit designed to assist transgender individuals facing the sometimes difficult task of changing their names and identification documents. 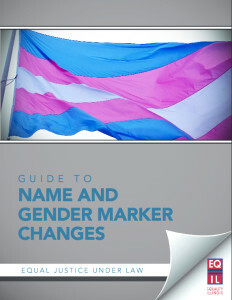 This new booklet from Equality Illinois, the state’s oldest and largest advocacy organization for lesbian, gay, bisexual and transgender Illinoisans, contains information to guide transgender individuals in Illinois through the process of changing one’s name and obtaining a new birth certificate, driver’s license, Social Security card, and passport. It also provides information regarding registering with the United States Selective Service Administration. 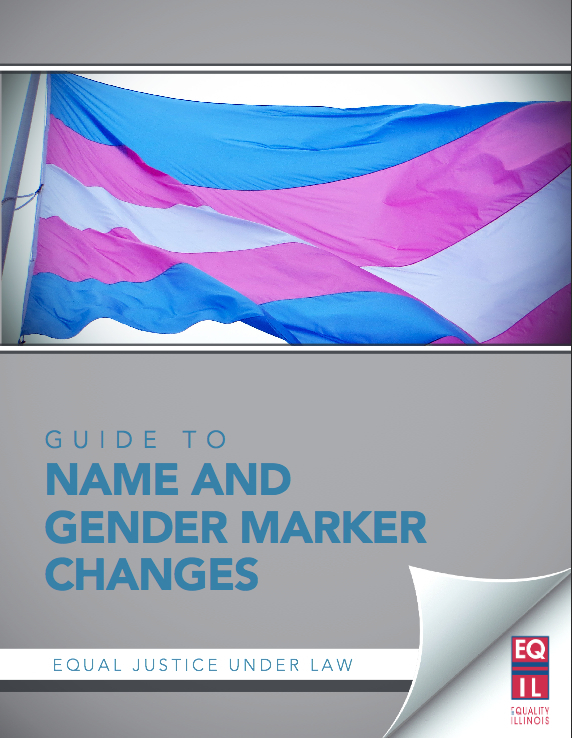 The 44-page Equality Illinois Guide to Name and Gender Marker Changes includes the forms that will be needed, the government offices to contact, and step-by-step instructions. It can be read and downloaded at http://tinyurl.com/EQIL-Name-Toolkit. “Negotiating your way through all of the additional hoops you have to go through as a trans person is difficult enough, even in a state that has made as much progress as Illinois. One of the benefits of this resource is its comprehensiveness to provide quick answers to unavoidable questions,” said Christina Kahrl, an Equality Illinois board member who sits on the organization’s Transgender Leadership Council. “This is just one long-awaited component in Equality Illinois’ commitment to serve the needs of every part of the LGBT community. We’re looking forward to moving on to tackling the many additional challenges trans people face, even in Illinois,” Kahrl said. The guide advises that before identification documents can be changed, the first step that must be taken is to change the legal name of the individual, which is done through a court order. After obtaining the certified copy of the name change judgment from the court the next step is usually to receive a new Illinois driver’s license or state identification card. “Once you have completed the name change process and obtained an amended driver’s license and/or state identification card, you may change your other identity documents, including your birth certificate, passport, etc. according to your situation and needs,” according to the guide. While an attorney is not necessary for these legal steps, everyone’s situation is different, and an attorney might be helpful in answering specific questions and helping someone get through the process, according to the guide. Bernard Cherkasov, CEO of Equality Illinois, said the Guide to Name and Gender Marker Changes is one of the educational programs of the Equality Illinois’ Knowledge=Power Campaign that is made possible by the generous support of the Illinois Bar Foundation and the Tawani Foundation.